If you need to improve your production process but aren’t sure how, we’ll design it. Our designers understand that sometimes you want a beautifully bespoke solution that needs detailed planning. Other times, you just need a widget and a gadget to get your legacy system up and running. Either way you’ll get a fit-for-purpose design to meet your requirements. We use the latest 3D modelling software to simulate real-world scenarios combined with failure mode and effects analysis to accurately determine and measure loads and stresses. The design and fabrication team meet regularly to discuss projects. Nothing beats the real-world experience that our senior engineers feed into the design process. 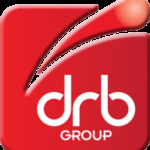 DRB is the most experienced and diverse family-run engineering company in the UK. Your business demands a reliable, flexible, innovative engineering partner to keep your business operational. At our 6.5-acre workshop, we manufacture a diverse range of mechanical parts and equipment in an equally broad range of materials for a diverse range of industrial sectors and applications. We have one of the best resourced machine shops in the UK, with a range of machines to provide customers with a complete in-house solution: from small to large and traditional to the most modern CNC machinery, all operated by skilled, dedicated technicians. DRB has a fabrication solution to meet your needs. DRB provides full support from design and manufacture right through to installation and commissioning. Our rigorous inspection procedures and processes ensures we meet our customers’ high standards. We ensure repeat-ability and high accuracy results using Faro© Quantum, Gauge Plus & Platinum Portable Co-ordinate Measuring Machines (PCMM) which allows for flexible inspections at your premises and in the factory. See how DRB's technical intelligence and practical experience supports production, processing, and heavy industrial customers in the North West.